Mark spent his childhood in Echuca/Moama before moving to Melbourne to study Chiropractic. 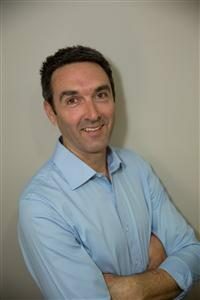 He graduated in 1993 and moved to Perth to play cricket and learn the real essence of Chiropractic. He married Kim in 1996 and they returned to Echuca to raise a family and develop a practice in the community they loved. He has broad interests in Chiropractic and finds particular satisfaction in providing care for generations of the same local and regional families. While cricket has given way to the pursuits of his own family he loves remaining active in the community and demonstrating the benefits of Chiropractic care. Mark is available for consultation in Deniliquin alternate Tuesday’s 9am-1pm, in Echuca Monday, Wednesday, Thursday & Friday and in Kyabram Wednesday morning. Justin was born and bred in Bendigo and knows the surrounding areas well. He recently married Jess in March 2018 whom you will also see helping out on the front desk in Deniliquin. In 2011 Justin completed his degree and graduated as the graduate of the year from RMIT University in Melbourne. He received a Bachelor of Applied Science and Master of Clinical Chiropractic. He was also awarded with the Academic Excellence Award, with Excellence in Chiropractic Sciences and Excellence in Diagnostic Sciences. He is available for consultation in Deniliquin alternate Thursday’s 9am-1pm, Echuca Monday, Wednesday, Friday & Saturday and in Kyabram Tuesday 9am-6pm. 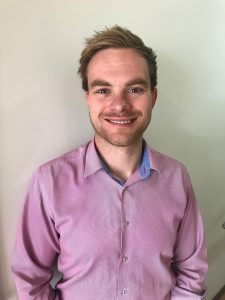 Oliver comes from a Chiropractic background with his father also being a successful Chiropractor in his home town of Gisborne. He grew up watching the powerful things Chiropractic can do to help people. 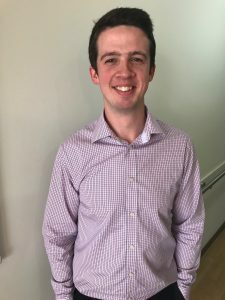 Oliver is excited to work with families and to get people back doing the things that are important to them so they can live life to their best potential. Oliver is available for consultation in Deniliquin Tuesday & Thursday 9am-6pm, Wednesday and Friday 9am-1pm and in Echuca Monday 9am-6pm.